Join 15 Bytes as we celebrate exemplary works in nonfiction that explore the trauma of birth, the travails of dementia and the solitude of the desert. 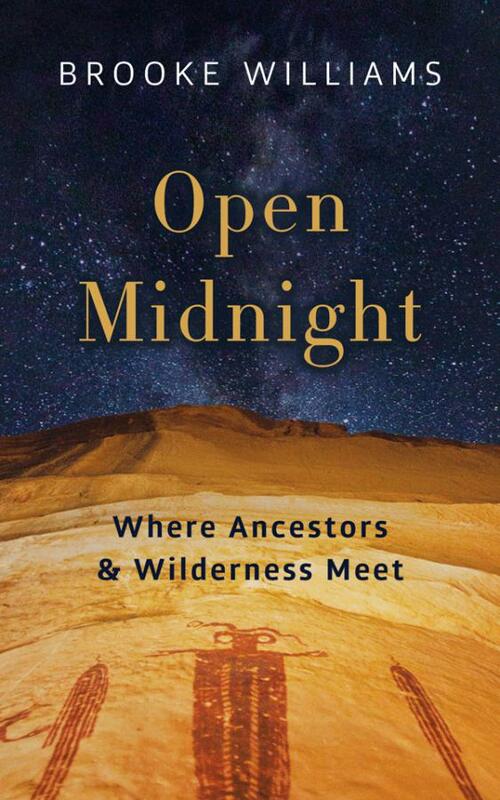 The latter, Brooke Williams’ Open Midnight, receives the 15 Bytes Book Award this year (see our review here), with Jennifer Sinor’s Ordinary Trauma and Gerda Saunders’ Memory’s Last Breath recognized as finalists. Join the winner and finalists at a reading, celebration and book signing, part of the Utah Humanities Book Festival. Currently in its sixth iteration, the 15 Bytes Book Awards are the only statewide literary book award for adult fiction, poetry, and creative nonfiction. Presented by Artists of Utah, the awards also recognize excellence in publishing in the category of art book. Nominations were accepted for professional, independently published books that appeared in 2017. 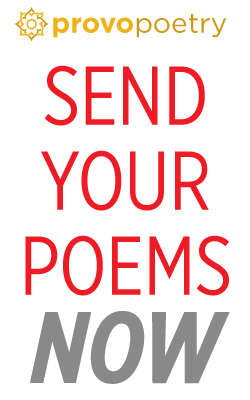 Three guest, Utah-based, judges were tasked with ranking nominations based on artistry/writing, and “that indefinable quality that makes a book special and unforgettable.” Judges also ranked books based on their connection to Utah in theme, setting or the residence of the author; however, the third category was only activated in the case of a tie. Open Midnight is the lone elk dropped into the canyon, the smallest innocent bird disappearing in between darkness and controversy, the last bit of light and the tires of the old Ford. Somewhere in between Charles Darwin and the Atlantic Ocean, springtime on I-70 and Utah’s San Rafael Swell, we are invited into a world that pushes against time and place, the inner wild and the map of Canyonlands. Here is a world that shows us that sometimes the only way to ask questions is to push boundaries, to go alone into the gorge and listen to the soft sounds of death. In the midst of wild prose, vivid dreams, we encounter a narrator alone in the desert, in the dry autumn hours reading maps, asking, how do we make sense of the solitude and the suffering? How do we create constellations from the world inside us and the sun shining above? We are the ghost gathering firewood, in the Ford on our way to Moab letting gravity have its way. In a world so often driven by man’s desire to control his own life, the mountains and the canyons which surround him, Williams whispers of a wilderness that might save us, if only we would go out into it, if only we would go out and listen. Who gets to decide what in the wild matters? Who gets to decide what it is that we’ll learn from it? 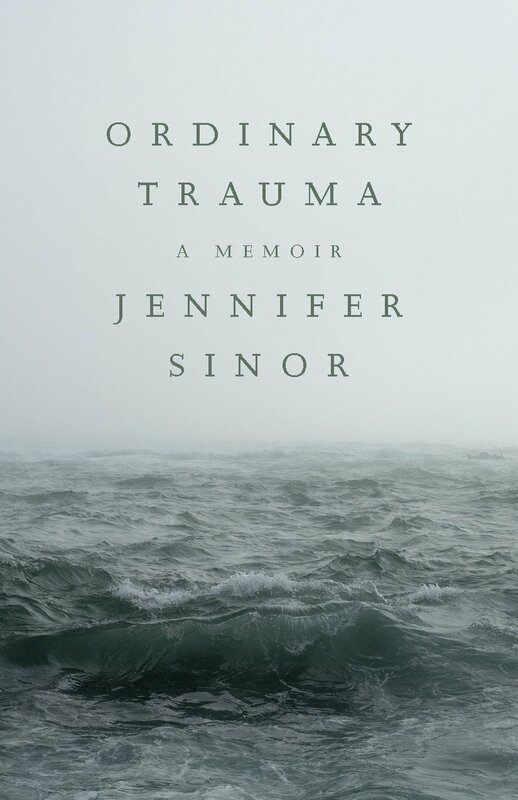 Not since Tristram Shandy wished, in the first sentence of the novel bearing his name, that his parents “had minded what they were about when they begot me,” has a book opened with the power of Jennifer Sinor’s memoir Ordinary Trauma: “. . . the darkened body of the fetus is dropped into a bucket on the floor and shuttled across the linoleum into an adjoining room.” Rising miraculously from the “Dead Baby Bucket,” Sinor recounts incidents from her life in short chapters with titles like “The Horse,” “The Wave,” and The Uniform.” Perceptive and unflinching, Sinor explores experiences as the child of a dominating father and a troubled mother, family stories that shift from Virginia to Hawaii to Seattle to Nebraska as her father, a Navy lawyer specializing in maritime law, takes new positions and as Sinor goes away to college and marries. Sinor’s prose is precise and fragrant: “electric pinks, reds, and purples of hanging torch ginger, heliconia, jacaranda, bird of paradise.” Her observations are witty and warm . 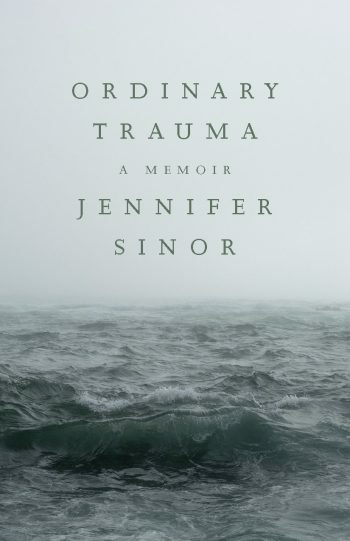 . . and devastating: “Feet astride the broken glass, he rages at the sky, at us, at a universe that deals repeated injustices.” Sinor’s trauma is, as she says, ordinary, a story we would all tell if we had her courage and her talent. 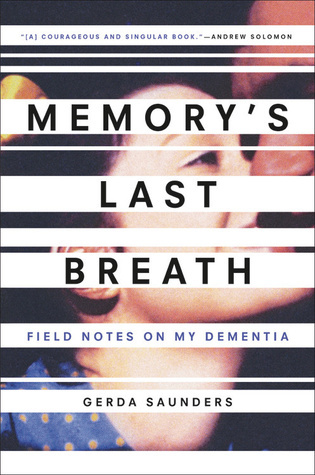 Gerda Saunders’ book Memory’s Last Breath: Field notes on my dementia is insightful, frightening, and very honest. After many years as a professor, Saunders was diagnosed with dementia. 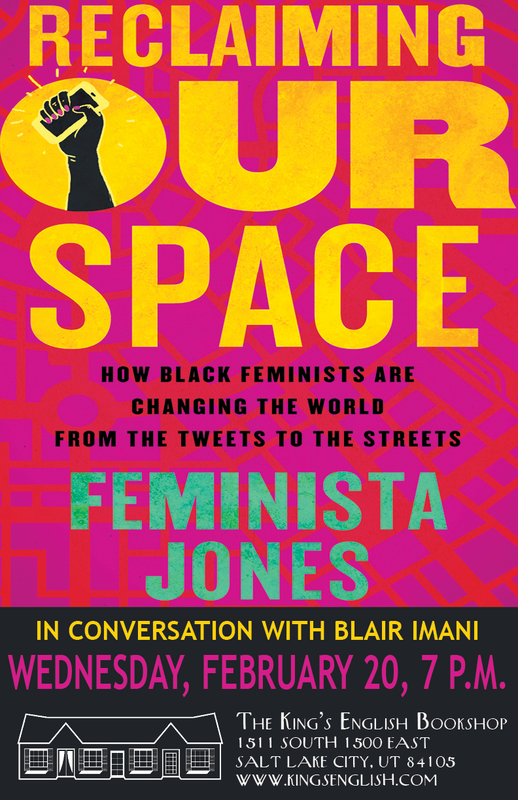 This book starts out as a scholarly documentation of her journey and morphs into a work of art filled with reminiscences of her upbringing in South Africa during trying times, her memories of her work, and an examination of what’s important and the need to state one’s case while the mind allows for such an exercise. Saunders’ book is a very important examination of how the mind changes, offering what has worked for her as she navigated her life and the lapses caused by her condition since she was diagnosed at the age of 61. Upon her retirement as the associate director of the gender studies program at the University of Utah, Saunders approached her condition as an outside observer would, making field notes about her life and the changes occurring in her mind. She writes with wit and grace as she maintains her dignity throughout the process.